Senior crime analysts have launched a major review into An Garda Síochána’s murder statistics, the Irish Independent can reveal. The National Bureau of Criminal Investigation (NBCI) is probing whether more than 40 homicide cases have been wrongly classified. Among cases being examined are ones involving missing persons, murder-suicides and the deaths of a small number of children. 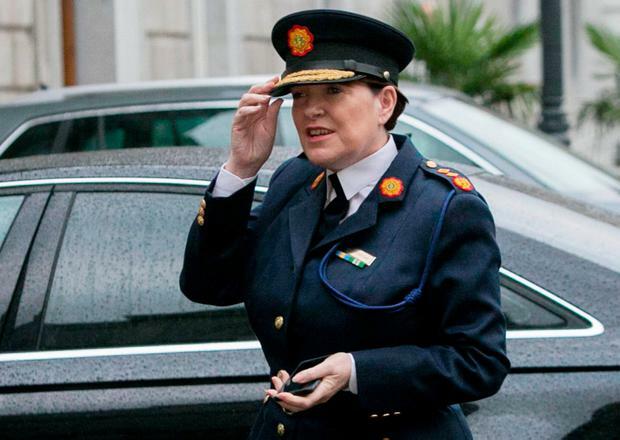 It comes after a devastating week for the force’s reputation in which Garda Commissioner Nóirín O’Sullivan warned the scandal over a million phantom breath tests and 14,700 wrongful convictions would not be the last. However, when asked whether she could pinpoint further wrongdoings, she replied: “No, nothing specific”. The Irish Independent understands a team of analysts are forensically trawling through crime records to determine whether homicide statistics – which include murders and manslaughters – are incorrect. If major discrepancies emerge from the review, it will prove deeply embarrassing for Ms O’Sullivan, who remains under major pressure over her handling of various controversies. It’s understood the country’s Cold Case Unit is feeding into the review, of which Ms O’Sullivan has been made aware. The Policing Authority and the Government will be concerned about the prospect of further discrepancies in Garda figures and the impact this could have on public confidence. In a statement last night, a Garda spokesman confirmed the area of homicides is being examined. “There is an ongoing quality review into the classification of homicides. This review is not yet complete. When complete we will inform the Policing Authority and the CSO of the findings,” he said. A senior source said last night many missing persons cases are simply classified as such. However some of these cases are actually murder cases but have not been recorded as such. This is expected to now change because of the review being undertaken. Ms O’Sullivan is still facing the prospect of a vote of no confidence in the Dáil later this month following the revelations surrounding traffic figures. Sinn Féin’s finance spokesperson Pearse Doherty told this newspaper the party will submit the motion the week after next – despite claims by Fine Gael ministers that Ms O’Sullivan gave an assured performance when appearing in front of the Oireachtas Justice Committee on Thursday. Fianna Fáil has said it cannot at the moment express confidence in Ms O’Sullivan – but there are doubts over whether the party will back the Sinn Féin motion. Social Protection Minister Leo Varadkar yesterday said any move to pass a motion of no confidence in the Garda Commissioner would not be good for the future of parliament. Speaking to reporters, Mr Varadkar warned against the Dáil trying to unseat her. “I’d hope that Sinn Féin and the other parties who are pursuing this motion against the Commissioner will think long and hard about it. Because I think we should be in a position where Dáil Éireann, which does not appoint the Garda commissioner after all, starts to express or pass motions of no confidence in office holders or employees anywhere in the State,” Mr Varadkar said. In an unusual move, Ceann Comhairle Seán Ó Fearghaíl spoke publicly about his relationship with Ms O’Sullivan, whom he described as “courageous” and “brave”. He added that she is entitled to her “good name”. Mr Ó Feargháil said he knows Ms O’Sullivan “socially” and that he would be “very surprised and disappointed” if it emerged she has done anything “untoward”.